Hello there! My name is Ben Morton and I'm a Web Developer & Software Engineer. In 2015 I graduated from the University of Southampton with a First Class (Hons) Masters of Engineering in Computer Science. I am currently working as a Web Developer at Pebble Beach Systems. I am currently working for Pebble Beach Systems developing a web dashboard for their series of broadcast of automation products. This uses a Node.js server and an Angular 2 front end to provide a series of customisable screens with a variety of widgets that communicate with, and provide extra functionality for the existing products. 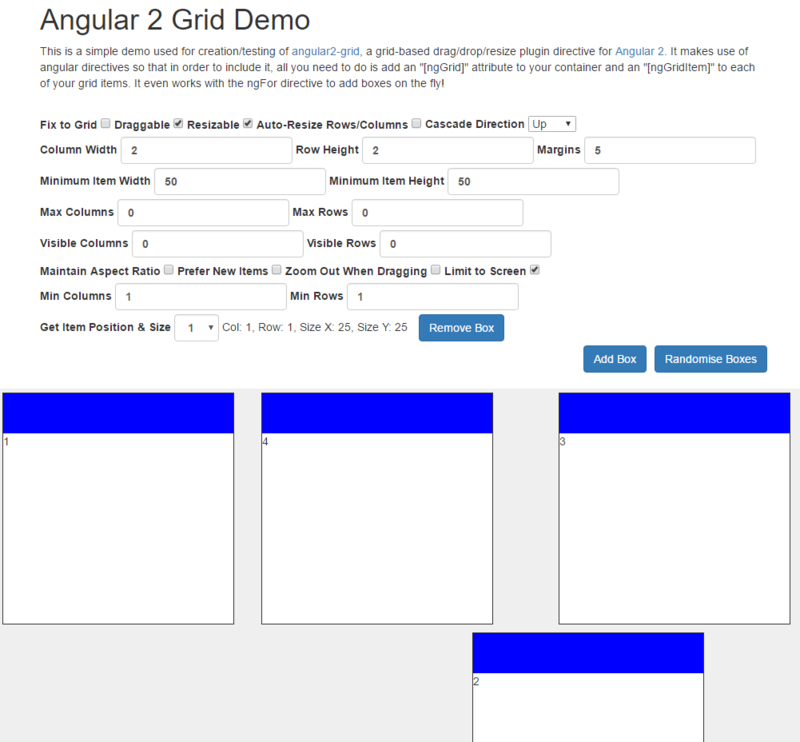 A grid-based drag/drop/resize plugin directive for Angular 2. It makes use of angular directives so that in order to include it, all you need to do is add an "[ng-grid]" attribute to your container and an "[ng-grid-item]" to each of your grid items. 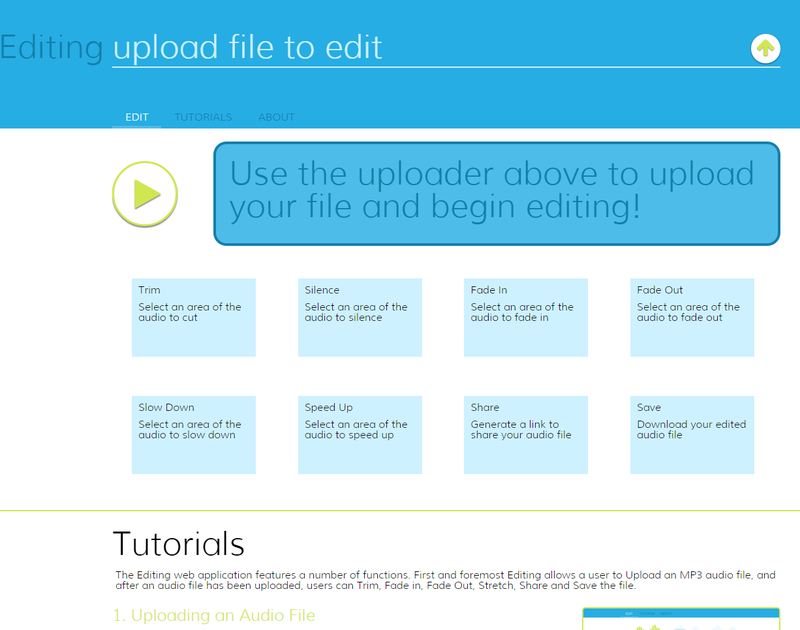 You can try it with a full demo with editable configuration. It's available and fully open-source on Github under the MIT license. 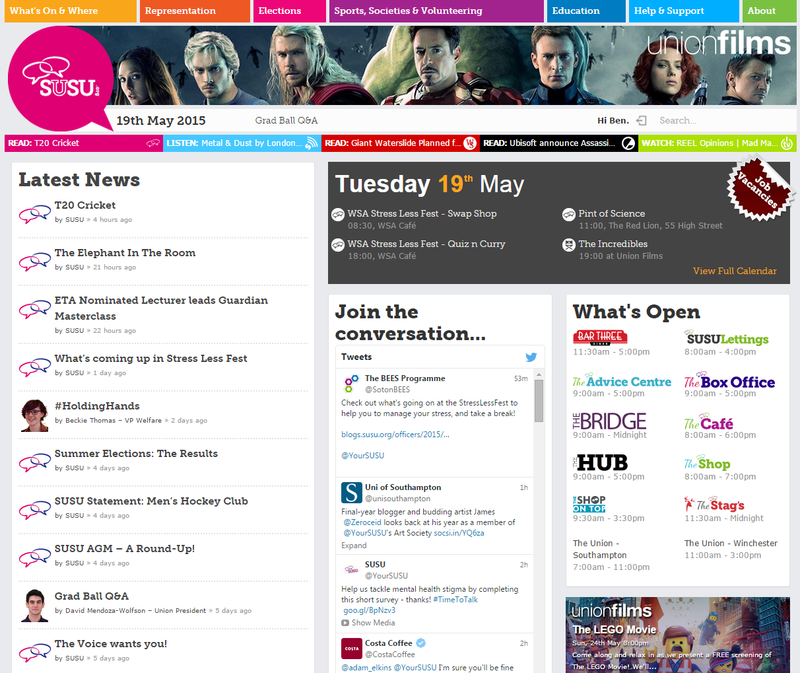 The main focus of my time working for the University of Southampton Students' Union was development of the website. Used by over 20,000 students each year, it is vital that the website stay up-to-date. I was part of a team who led the redesign of the site, as well as crafting several new features, including a new Election system, a student group management hub and many more. For the fourth year of my course, I was part of a team tasked with re-designing the statistics dashboard for an advertising company. 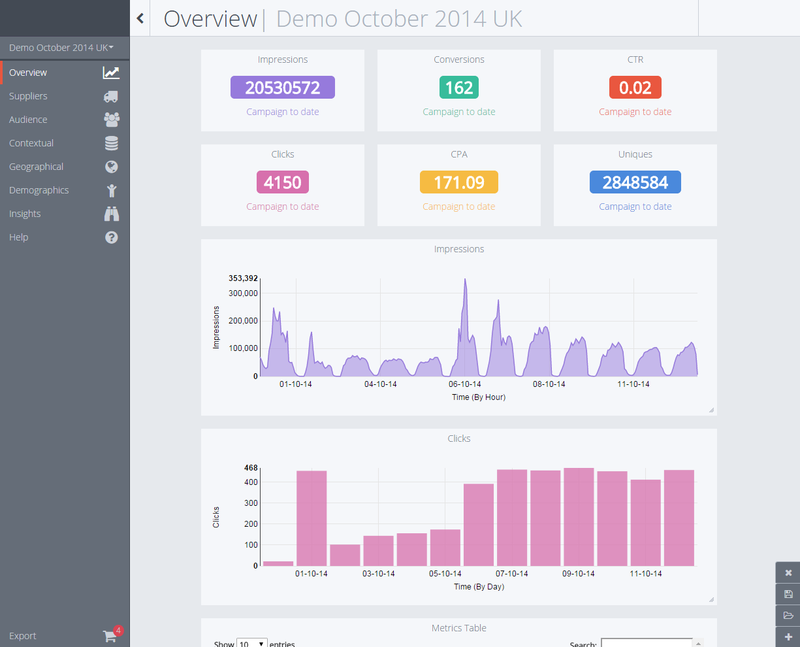 The dashboard made use of node.js and Python for front- and back-end development, and D3.js to display a variety of different graphs. 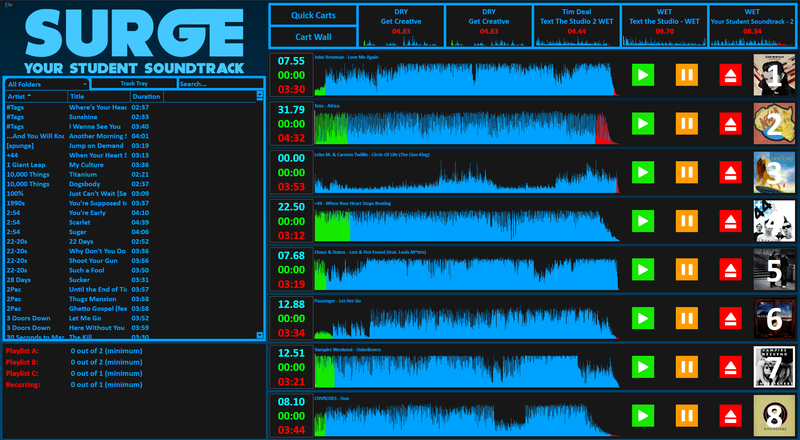 Whilst volunteering for Surge Radio, I took part in a major overhaul of the station's playout software. As part of a wider rebrand, the software was to be redesigned and improved. I upgraded the system to using the C# WPF layout system, as well as introducing many new capabilities, including additional formats, including lossless, and ASIO playback support. 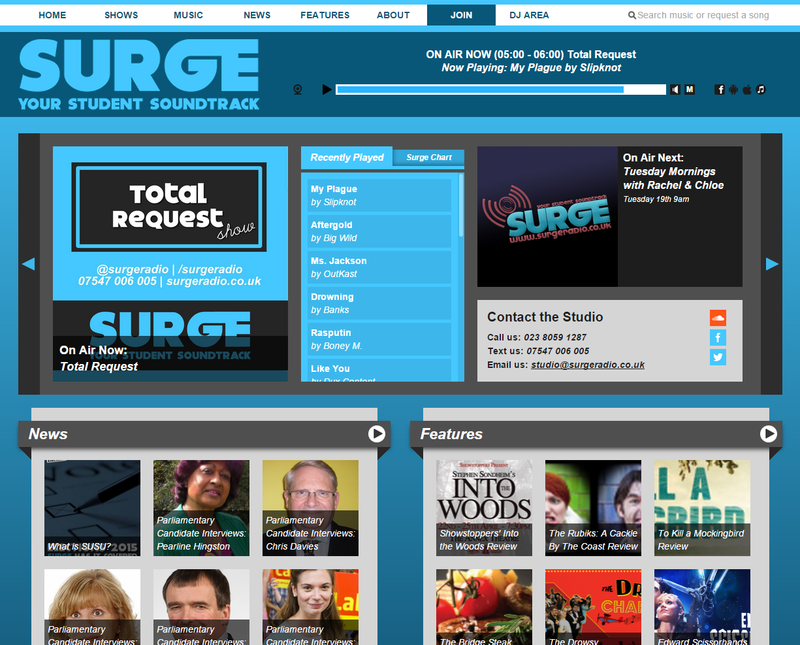 For Surge Radio, regular podcasting of shows is an essential way of attracting new listeners. Previous attempts at podcasting involved attempting to trim music from the full hour-long recording of transmission, due to licensing issues surrounding hosting downloadable music. 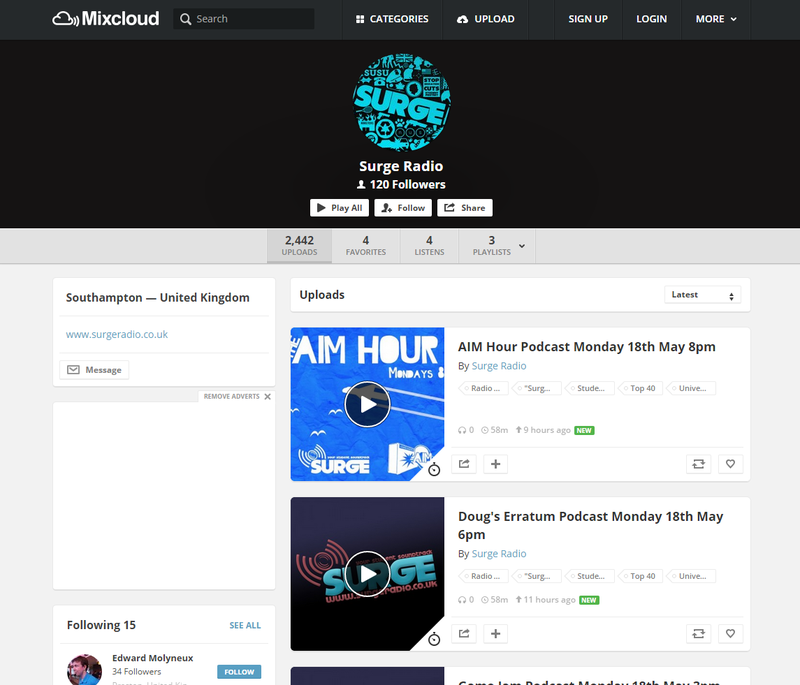 Mixcloud allows for tracks to be kept in the podcasts for any listeners to hear the full experience. I created a system that generates the full podcast and uploads directly to Mixcloud with included track listings. 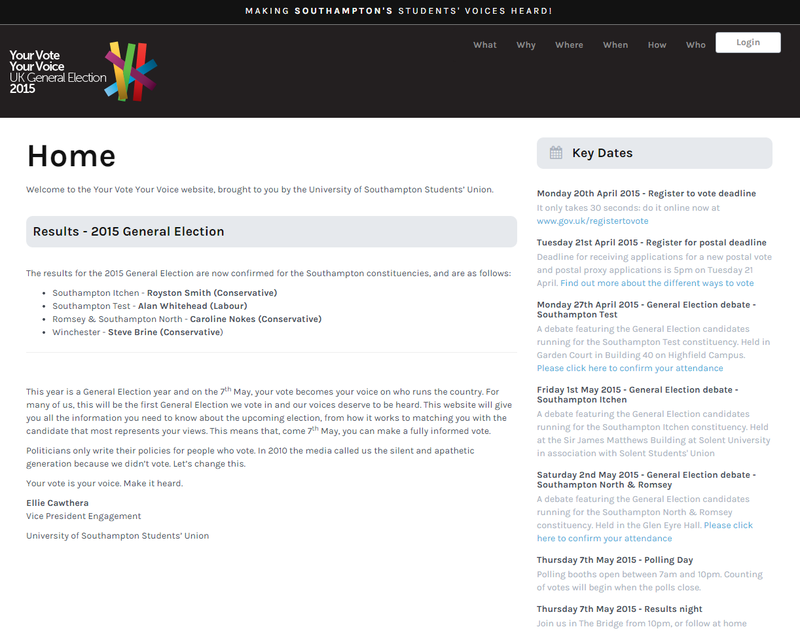 Your Vote, Your Voice was a campaign run by the University of Southampton Students' Union to help publicise and increase student voter turnout in the 2015 general election. It included functionality that allowed users to find their constituency, see which candidates were running and locate their polling station on vote day. This was accompanied by a widespread marketing campaign around the city.